Celebrating the nation’s Bed & Breakfasts! Home > Event > Sign up for an event this World Running Day! Sign up for an event this World Running Day! Celebrate World Running Day (7th June) with us and sign up to take part in one of our mass-participation events! Simplyhealth Great North Run – 2 spaces remaining! Broadcast live on the BBC, the Great North Run is one of the world’s biggest and most iconic half marathons. Starting in Newcastle upon Tyne, the 13.1 mile course winds its way over the famous Tyne Bridge and towards the coast of South Shields. The route is lined with supporters, making for a fantastic atmosphere. Over 57,000 runners take on this challenge every year and you could be one of them! For more information and to apply for the Great North Run, please click here. Royal Parks Foundation Half Marathon – 2 spaces remaining! Having been described as “the most beautiful city run, in the world’s greatest city”, the Royal Parks Foundation Half Marathon shouldn’t disappoint! 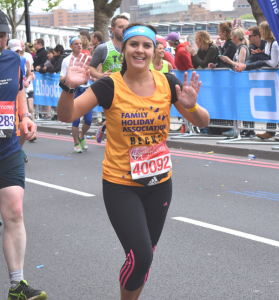 The 13.1 mile route takes in famous landmarks such as the Houses of Parliament, Buckingham Palace, the London Eye and the Royal Albert Hall. So you can enjoy some sightseeing while taking part in this hugely popular challenge! As well as the race, the day includes a free food and fitness festival in Hyde Park – the course start/finish location – so is a great place to head with your supporters when you complete the run. For more information and to apply for the Royal Parks Half Marathon, please click here. 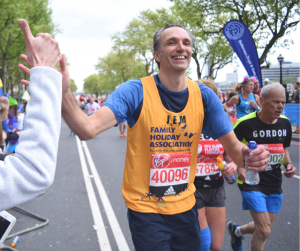 For more information and to apply for the Virgin Money London Marathon 2018, please click here. For more information on any of the above events, please email our Content Executive Coral Rushmer or call her on 020 3117 0663. Not into running? Why not have a look at our full list of events here.